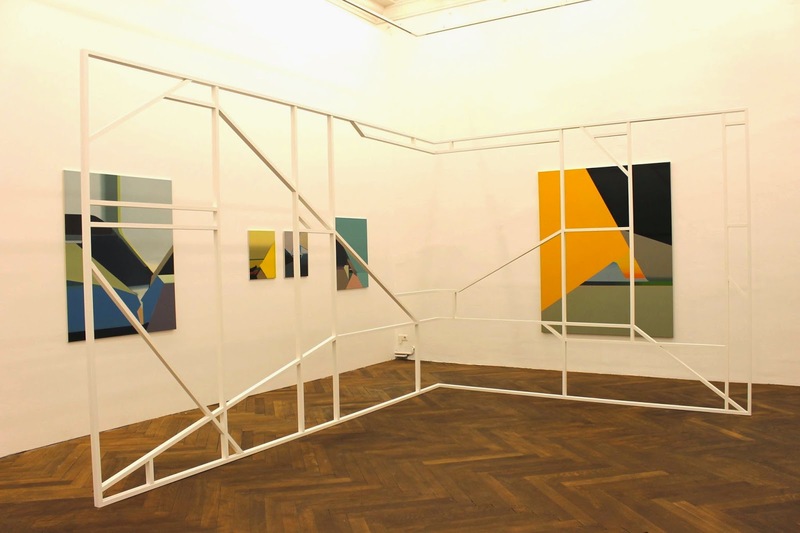 ARNDT shows a selection of the recent grads from the two art academies in Berlin that matter; the Universität der Künste and the Kunsthochschule Berlin-Weißensee. The collision of two different worlds is also on display; the safe playground of the art academy and the slap-in-your-face-reality of the art market. The exhibition shows the result of such a merging very striking with the sound piece Das Spiel ist aus by Paul Darius at the entrance of the gallery. You here a sports commentator shouting, over and over again, that the game is over. The ten graduates who may call themselves Berlin Masters only mastered the top of a temporary mountain, their studies. The Master-title is, although for life, of limited preservability. Das spiel ist aus. This second edition of Berlin Masters shows a variety of works, from the soundpiece mentioned above to the monochrome paintings by Marc von der Hocht. There are universal themes to be found like the grid, the dot, the window, the circle. Zeitzeichnung for example, by Felix Kiessling where he literally plays with time. From a small alarm clock he built a drawing machine that with the help of a little chunk of chalk draws a dreamy circle. The installation Listening Test: Photographs by EunHee Lee deals with a more present-day phenomenon. It confronts you with the stuff you (unintentionally) think when you look at something. The installation shows a kind of test-setting where you can sit at a table with a booklet before you. On the screen images are projected with four statements about what there is to see. Only one you can verify directly from the image itself. The other ones are possible, yes, but cannot be checked for truth. These pre-programmed interpretations that everyone experiences when you look at stuff are almost impossible to turn off. This courtesy from your brain, helping you to fill in and give purpose to what you see, is something to be well aware of.